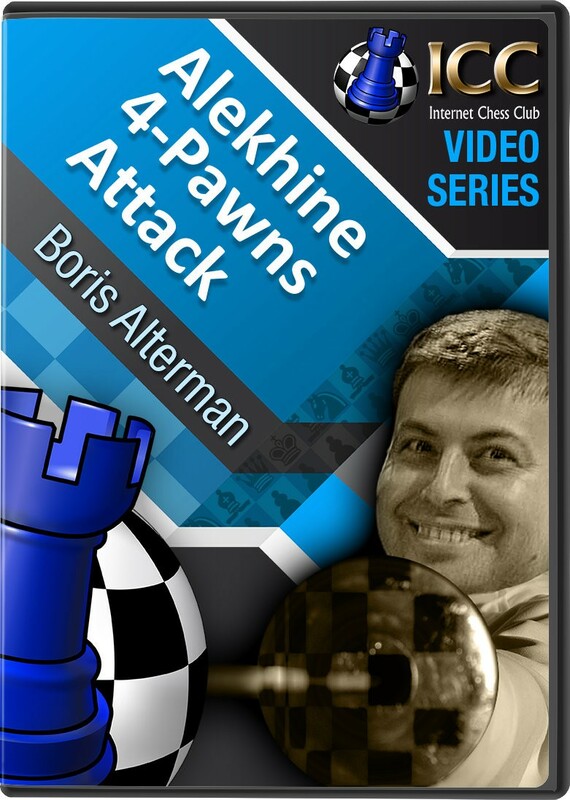 GM Boris Alterman again responds to ICC members who have asked our resident expert in all things gambits what to do in the Alekhine 4-Pawns Attack if Black eschews the big main line with 1. e4 Nf6 2. e5 Nd5 3. c4 Nb6 4. d4 d6 5. f4 dxe5 6. fxe5 Nc6 7. Be3 Bf5 8. Nc3 e6 9. Nf3 Be7 10. d5 Nb4?! His answer? Look no further than a particularly aggressive gambit line with 11. Rc1 f6 12. a3 Na6 13. g4!? - originally a recommendation of the leading Soviet master of his day Alexander Zaitsev (1935-71), and lately given the big thumbs up by another top Russian in Alexander Morozevich! 1. e4 Nf6 2. e5 Nd5 3. c4 Nb6 4. d4 d6 5. f4 dxe5 6. fxe5 Nc6 7. Be3 Bf5 8. Nc3 e6 9. Nf3 Be7 10. d5 Nb4? !